Founded by Mr Xu Zhiping, Ping Fine Chinese Art & Co unifies two genres of art – contemporary art and antiques. Formerly known as “New Ink”, the gallery was established in Taipei in 1994, and expanded into China in 1994/95. In 2005 and 2012, additional branches were opened in Taipei and Beijing respectively. 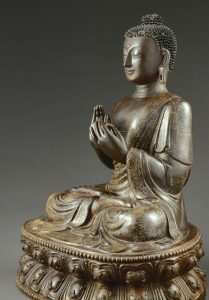 The main focus of the gallery is the promotion and collection of Buddhist antiques. Every year an academic exhibition on Buddhist works of art is held, accompanied by the publication of an extensively researched catalogue. To date, 13 monographs have been published, all widely acclaimed in the industry.